Motorcycle accidents are extremely serious. Bodies are simply not made to withstand impact with a car or truck no matter how much safety gear is worn. Riders are often left with devastating closed head injuries, amputations or varying levels of paralysis. In the wake of such tragedy, it can be difficult to know where to turn for help. 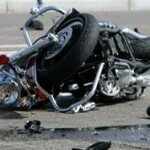 Bristol & Dubiel, LLP is a personal injury law firm focused on securing justice for the victims of motorcycle accidents. We recognize the grave circumstances faced by our clients and work to maximize compensation for medical losses, lost wages, and pain and suffering. Whether you have suffered broken bones or a traumatic brain injury, we will handle all legal matters while you focus on healing. Contact us to arrange a free initial consultation with an attorney who has handled many motorcycle accident claims. We provide aggressive representation to injured people in the Dallas-Fort Worth metroplex, and throughout North Texas and Oklahoma. Motorcycle accident claims are often more complex than other motor vehicle accident cases. Society tends to have an inherent bias toward motorcycle riders, believing them to be reckless and careless on the road. Proving another party is responsible for an accident is a challenge we are willing to take on. We thoroughly investigate each motorcycle accident claim, working with reconstructionists to determine exactly what took place. Our lawyers also enlist the assistance of life care planners and financial analysts to determine the amount of compensation a motorcycle accident victim will need to cover current and future medical expenses. We will stand strong, working to secure either a favorable settlement amount or trial verdict. Far too often, motorcycle accidents are fatal. Loved ones are left behind, grieving a life that was lost far too soon. Although no amount of money can ever replace the loss you have suffered, pursuing a wrongful death claim may help your family manage your tragic loss. If you would like to speak with an aggressive personal injury lawyer at Bristol & Dubiel, LLP, contact us to schedule a free initial consultation.